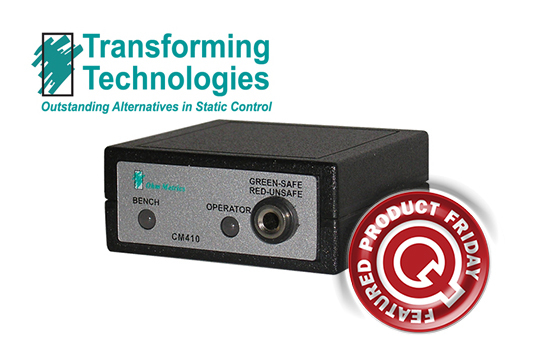 Save 22% off the MSRP on Transforming Technologies Ohm Metrics™ ESD Workstation Monitor (Part Number CM410) when you use our FPF073115 Coupon Code. This Featured Product Friday (FPF) promo is valid from today, July 31, 2015 through Sunday, August 2, 2015. This Transforming Technologies ESD Workstation Monitor is a single-wire, constant ground monitor for one operator and one mat that uses specialized impedance sensing technology. Usually listed at $69.23 (MSRP), you’ll get this item with our FPF code savings for just $53.99. While this is a 3-day limited-time price, the coupon is unlimited. Use the code as many times as you like while it is valid—and please feel free to share the code with your friends and colleagues. For further questions about Featured Product Friday, please read our informational blog post, call us (800-966-6020), or send us an email. Please note: This promo is valid only at QSource.com and expires on August 2, 2015. Sometimes we wish we could go back in time. 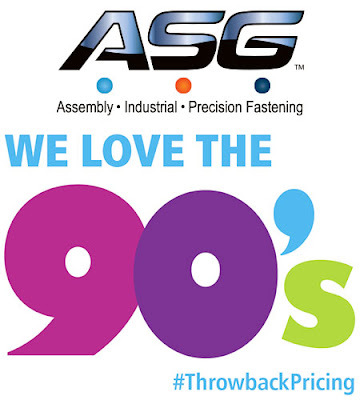 ASG’s “We Love the ‘90s” promo is the next best thing…it brings past pricing to the present. 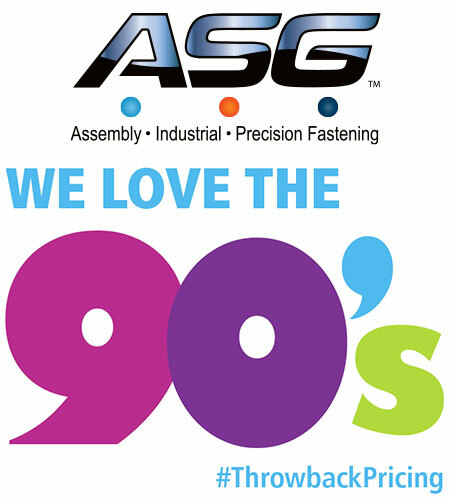 Running through the end of 2015, “We Love the ‘90s” gives you 1990s pricing on current select ASG HIOS Electric Screwdrivers. In addition, you get a FREE PS-55 Power Supply with each screwdriver purchased. Learn how you can save hundreds of dollars and get your FREE power supply by visiting our “We Love the ‘90s” page at QSource.com. You may also contact us via our Web site, by phone (800-966-6020), or via email. Please note: This promo is valid from February 1, 2015 to December 31, 2015. Leading off this week’s column: Are repair crews still filling in winter potholes on your local streets? This Elkay Plastics post looks at VolkerWessels plans for creating recycled plastic roads that will be more durable and outlast the usual asphalt we’re used to. American Hakko is good at getting people excited about soldering, but their latest post might even get your mouth watering, too. Circuitry Snacks look like a fun way to combine food with a love of electronics: That’s a tasty looking PCB! Not sure what this 3D Printing Industry post says about the times we live in, but we’re hoping The Smithsonian’s Kickstarter campaign to 3D scan Neil Armstrong’s iconic space suit (Reboot the Suit) is a resounding success. In another national museum related post, the Edison Awards shared this one about a new, exciting exhibition called, “Inventing America” that’s now showing at the National Museum of American History. Are bionic industrial workers far off? This post by MAKE looks at Ekso Bionics new Industrial Exoskeleton, which allows workers to manipulate heavy or awkward machinery with ease. And we close out this week’s column with our look at our blog post about our in-stock, ready-to-ship AIM Solder products. If you’ve run out of solder, or want to stock up to avoid work-stopping solder shortages, visit QSource.com for a selection of in-stock, ready-to-ship, low-cost AIM Solder products. These select AIM Solder items are competitively priced to save you money and, even more importantly, stocked and ready to fill your order immediately. Choose from a variety of high-quality AIM Solder spools or a 2.5-lb. bar. Spool choices include AIM’s 14054 SAC305 Lead-Free Flux Glow Core No-Clean 0.020", 14048 SAC305 Lead-Free Flux Glow Core No-Clean 0.032", 13951 SAC305 Lead-Free Water-Soluble WS482 Cored 0.02", 13949 SAC305 Lead-Free Water-Soluble WS482 Cored 0.032", 13283 Sn63/Pb37 Flux Glow Core No-Clean 0.020", and 13426 Sn63/Pb37 Flux Glow Core No-Clean 0.032". 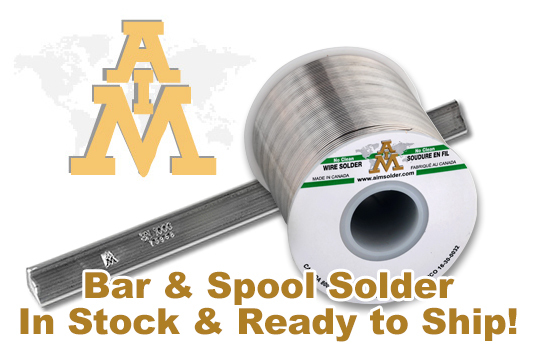 Our bar solder offering is AIM’s 5202 SN100C® Lead-Free 2.5-lb Bar. Features of these select products include excellent wetting, high purity, reduced drossing, wide process windows, and saponifier cleaning (please see the individual product pages for details). 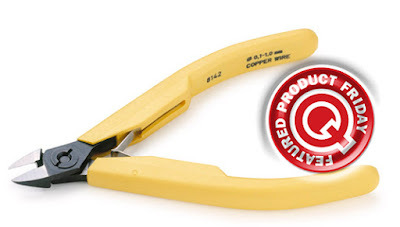 Place your order at our AIM Solder In-Stock, Ready-to-Ship page. Most orders processed before 3:00 p.m. EST will ship same-day. For additional information or questions about AIM Solder, you may contact us by phone (800-966-6020), email, or via our Web site. While at our Web site, you may also want to check out our complete line of other AIM Solder products. Leading off this week’s column: If a machine replaced your doctor, how would you feel? This Fashion Seal HC post asked if technological advances are taking away the human factor in healthcare. In case you were wondering, Weller’s post explains the differences between welding, brazing, and soldering. Did you know that kilogram scales are calibrated against a 125-year-old piece of metal kept in a Paris vault? NIST’s post looks at efforts to redefine the kilogram. What does it mean to redefine the kilogram? Find out on today's broadcast of Science Friday, featuring NIST's Jon Pratt. Do you consider texting slang and other modern changes to be an affront to the English language? If so, this Laughing Squid post of an animated history of how English has evolved might enlighten you. Sometimes you just need to look up at the sky for a little inspiration. This EE Times post directs us to photographer Shane Black’s amazingly beautiful time-lapse photography of the night sky. And we close out this week’s column with a look at this email blast about our FREE shipping offer on Quantum’s conductive bins and totes. Save 35% off the MSRP on ACL Staticide’s SpecMat-H Series Pre-Cut Vinyl ESD Table Mats (see Web site for part numbers) when you use our FPF071715 Coupon Code. In addition to these excellent savings, you’ll get a FREE two-ounce sample of ACL’s 6001 Staticide Mat Cleaner and two 10-mm ground snaps. This Featured Product Friday (FPF) promo is valid from today, July 17, 2015 through Sunday, July 19, 2015. 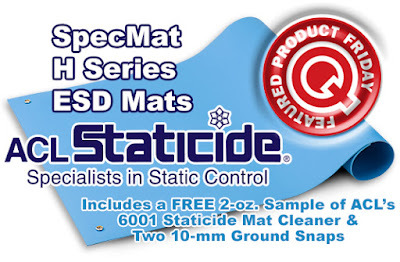 ACL’s SpecMat-H Series Mats are made of Single-layer, ESD-safe thermoplastic vinyl material for use at bench tops. Their anti-static properties can’t be worn away through wear or out gassing and the mats are resistant to solder, heat, and most solvents. Our Featured Product Friday promo gives you a 35% saving off the regular MSRP price. While this is a 3-day limited-time price, the coupon is unlimited. Use the code as many times as you like while it is valid—and please feel free to share the code with your friends and colleagues. For further questions about Featured Product Friday, please read our informational blog post, call us (800-966-6020), or send us an email. Please note: This promo is valid only at QSource.com and expires on July 19, 2015. Leading off this week’s column: We’ve previously reported about 3D-printed body parts, cars, and more. Now, Workrite Ergonomics shares this post about a fully functional 3D-printed building being constructed in Dubai. What’s next, a planet? Tektronix shared this cool post about how engineering students are using nano-generators to develop a way to generate electricity from a car’s wheels to help combat energy loss. This Gooch & Housego post tells a sci-fi like tale of how researchers are using squid skin to help soldiers battle infrared detection. This tongue-in-cheek infographic shared by Bishop-Wisecarver, presents the anatomy of a Transformer. MAKE Magazine’s post makes us think who needs a Segway when you can create a walking machine that’s simply powered by a drill. And we close out this week’s column with our look at Hakko’s powerful FA430 Fume Extractor, which is in stock and ready-to-ship. 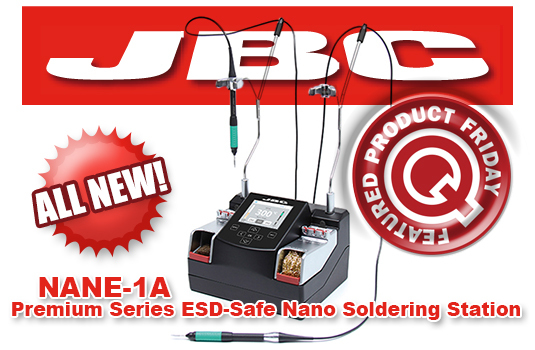 Save $101 off the MSRP on a JBC Tools Premium Series ESD-Safe 120V Nano Soldering Station (Q Source SKU: NANE-1A-J006) when you use our FPF071015 Coupon Code. This Featured Product Friday (FPF) promo is valid from today, July 10, 2015 through Sunday, July 12, 2015. The JBC NANE-1A Station allows the use of two JBC NT105 Nano Soldering Irons at the same time and provides the ability for high-precision soldering on very small-sized components (0402, 0201, and 01005). Regularly listed at $1,280.00 (MSRP), but with our FPF code savings you’ll get it for just $1179.00 per case. While this is a 3-day limited-time price, the coupon is unlimited. Use the code as many times as you like while it is valid—and please feel free to share the code with your friends and colleagues. For further questions about Featured Product Friday, please read our informational blog post, call us (800-966-6020), or send us an email. Please note: This promo is valid only at QSource.com and expires on July 12, 2015. Need a powerful, but quiet, fume extractor? 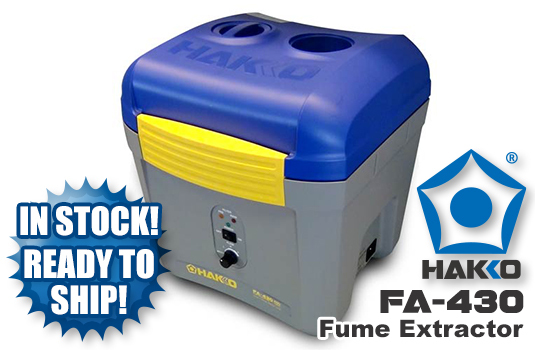 Q Source has Hakko’s FA430 120W Fume Extraction System (FA430-16) in stock and ready-to-ship. The FA430 is ESD safe and provides strong suction with low exhaust noise. With three airflow modes, quiet operation (as low as 44 dB), 98%/99.97% filtering efficiency, and a 1500 Pa vacuum pressure this Hakko Fume Extraction System offers a solid solution for clearing the air of smoke and fumes. The unit also ensures you know when it’s time to replace your filter via its indicator lights on the front panel. Our inventory of Hakko FA430 Fume Extraction Systems is ready-to-ship. Just visit QSource.com to place your order. Orders processed before 3:00 p.m. EST will ship same-day. For additional information or questions about this product, you may contact us by phone (800-966-6020), email, or via our Web site. While at our Web site, check out our complete line of Hakko products. Leading off this week’s column: The simple act of washing your hands to avoid germs was once so controversial it drove a man to an asylum. This Agilent Technologies post tells the sad story of Ignaz Semmelweis, a man who was ahead of his time, but unappreciated. TE Connectivity shared this sci-fi worthy post about new technology that will allow planes of the future to self-repair minor damage to their wings. If your thing is watching robots fall down (we’re not judging), check out the SMTA’s post looking at these clumsy robots at the DARPA Robotics Challenge. Twitter CAN be used for more important things than celebrity gossip and photos of food… Laboratory Equipment magazine posted about how scientists are using Twitter as an early warning system for drug interactions. After a bad round of golf, you’ve probably wanted to take all of your golf equipment and saw it in half. Laughing Squid shared this post of what Golf Digest found when they sawed 10 different kinds of golf balls in half. And we close out this week’s column with a look at our top blog posts from June. Q Source’s Featured Product Friday Promos: What Do You Think So Far? Our Featured Product Friday (FPF) promo has been offering you weekly money-saving opportunities for around a year and a half now. FPF is taking the week off because of the 4th of July holiday and we wanted to take this time to ask you for your input about these special limited-time offers. We want to know if you like the products we feature, if you think the discounts are fair, and what we can do better with Featured Product Friday to make it something you truly look forward to each and every Friday. Please leave your comments on our blog, send them via email, or use the Contact Us/Feedback link on QSource.com. We look forward to hearing from you and appreciate your input and participation. Featured Product Friday will return next Friday with a new chance to save on a popular item. Thank you for your time. 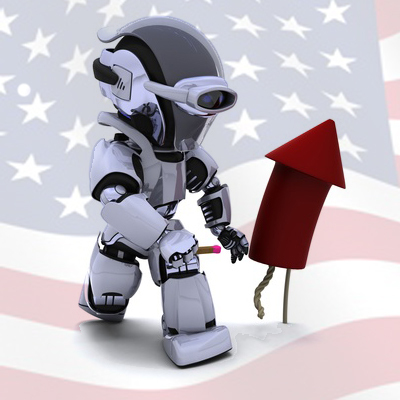 Q Source’s office will be closed on Friday, July 3rd, in recognition of the July 4th Independence Day holiday. The office will re-open on Monday, July 6th, for regular business hours. We wish you all a Happy 4th of July. QSource.com is open for business 24/7. Orders placed via our Web site on the 3rd will be processed as soon as possible on Monday, July 6th, 2015. Please contact us with your related questions at qsales@qsource.com or via phone at 800-966-6020.